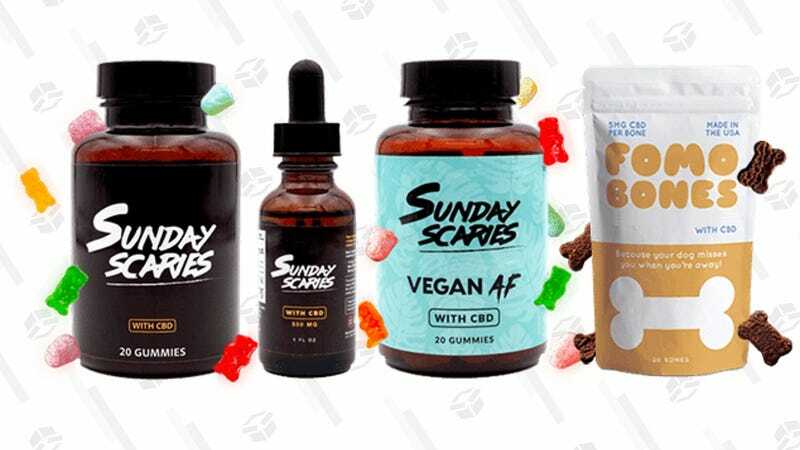 If you’re having trouble sleeping, suffering from anxiety, or having trouble sleeping because you’re suffering from anxiety, Sunday Scaries CBD gummies could help. Jolie Kerr shared her thoughts on them for The Inventory, and this week for 4/20, our readers can save 15% with promo code KINJA15. Promo code KINJAFOMO15 will also get you 15% off Sunday Scaries’ new FOMO bones, CBD-infused dog treats for anxious pups who suffer minor panic attacks whenever you’re away. They could also come in handy for long drives, trips to the vet, or visits to the dog park with your awkward and introverted companion.